It is my contention that training intensely and consistently is the cornerstone of any successful body transformation. Day in, day out, one workout at a time, one set at a time and one rep at a time. Keep applying constant pressure. Don't let up. Fight through all obstacles and overcome every set back. As many of you know, my mantra has always been -- Train Hard! I have always emphasized quality over quantity and intensity over intermediary training. But, I will be the first to admit that hard training, over the long haul, can take a toll on your body. It has on mine. I regularly experience joint soreness, stiffness and pain. One of the most important aspects of my current training is simply getting my body repaired so I can get in the gym for the next workout. I decided I needed some help and therefore I created a NEW joint support supplement that produces meaningful and effective results and helps me (and will help you) get into the gym and train harder, longer and more often. My new joint support supplement is called gogoo. gogoo is an oral liquid gel (or a goo) that supports joint health and therefore helps you go. Get it? go and goo -- gogoo. Catchy name right? • gogoo is safe and effective for people of all ages and fitness levels. All of the these factors make gogoo -- The Goo That Gets You Going. Why is gogoo so effective? There are many different supplements, with many different ingredients, on the market today that claim to support joint health. I have devoted considerable time to researching joint health supplementation. In my opinion there are three ingredients that are available to be sold as dietary supplements that are truly effective at supporting joint health. They are methylsulfonylmethane (MSM), glucosamine sulfate and high molecular weight hyaluronic acid (HA). 1025 mg of Methylsulfonylmethane (MSM) -- MSM is a naturally occurring sulfur compound that is found in humans, animals and many plants. Sulfur is critical to cartilage health. That is why the MSM in gogoo will reduce soreness, stiffness and pain in muscles and joints and is commonly used to reduce inflammation. 1025 mg of Glucosamine Sulfate -- Glucosamine Sulfate is a naturally occurring substance in the fluid around joints. The Glucosamine Sulfate in gogoo is proven to significantly reduce pain and relieve symptoms of osteoarthritis in many studies. The Glucosamine Sulfate in gogoo has also been credited with speeding healing time from injuries and increasing range of motion in joints. 100 mg High Molecular Weight Hyaluronic Acid (HA) -- Hyaluronic Acid is a natural substance found in the liquid surrounding and protecting your joints. The high molecular weight HA in gogoo will help replenish this key acid and reduce joint stiffness and pain. Think of the HA in gogoo as lubrication for your joints. Not only are these three highly effective ingredients combined to form the perfect joint support supplement, but they are all dosed with the correct amounts for maximum benefits. gogoo has more MSM and HA than other products. Plus, gogoo also includes the key ingredient Glucosamine Sulfate that many other products don't. I recommend you take one tablespoon of gogoo one to two times daily. Personally, I take one tablespoon in the morning with breakfast and one tablespoon at night with my last meal of the day. But, taking gogoo at any point in the day is fine. I recommend that you shake gogoo well before using and refrigerate after opening for best flavor. gogoo has a cumulative effect. This means that although you will begin to see results in the first seven days, taking gogoo for prolonged periods improves its effectiveness and amplifies the results. Each bottle of gogoo contains approximately (approximate because you are using a tablespoon as a measurement) 32 servings per bottle. The retail price for one bottle of gogoo is $54.99, but you won't pay that. I want you to try gogoo. So as an added incentive, in addition to all the amazing benefits supplementing with gogoo will provide, right now I am offering gogoo at the low price of only $34.99 for one bottle or only $29.99 per bottle if you buy more than one. Remember, each serving of gogoo contains 1025 mg of Methylsulfonylmethane (MSM), 1025 mg of Glucosamine Sulfate and 100 mg of High Molecular Weight Hyaluronic Acid (HA). So, if you are comparing the price of gogoo to other joint support supplements, be sure to do the math and calculate how much of each of these ingredients you are actually getting in other products. Plus, as with all the supplements I sell, gogoo is of superior quality due to the manufacturing process at a cGMP (Current Good Manufacturing Practice) certified and FDA validated facility, in the USA, which insures the highest quality standards. 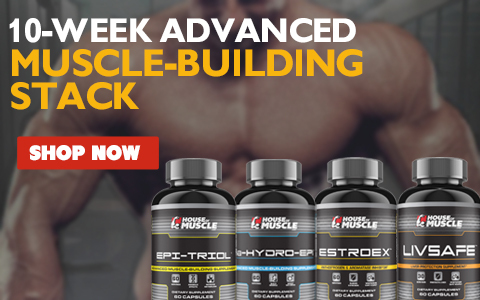 I am very proud to offer you, my valued HouseOfMuscle.com customers, a truly effective joint support supplement that will definitely help you get more results from the time you spend training. After all, you are IN THE HOUSE. 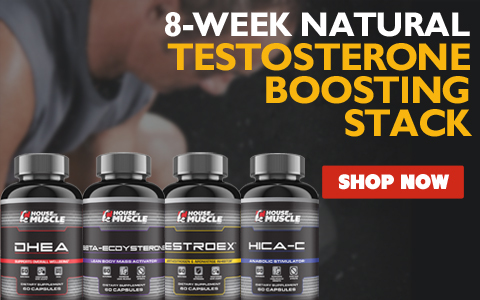 I have your back and I am looking out for you by making sure The House Where Muscle Is Built always provides the highest quality, most effective and lowest priced sports nutrition supplements. The time to order is NOW! It is time to stop dreaming about what you want to achieve. It is time to actually start achieving it. ORDER gogoo TODAY!